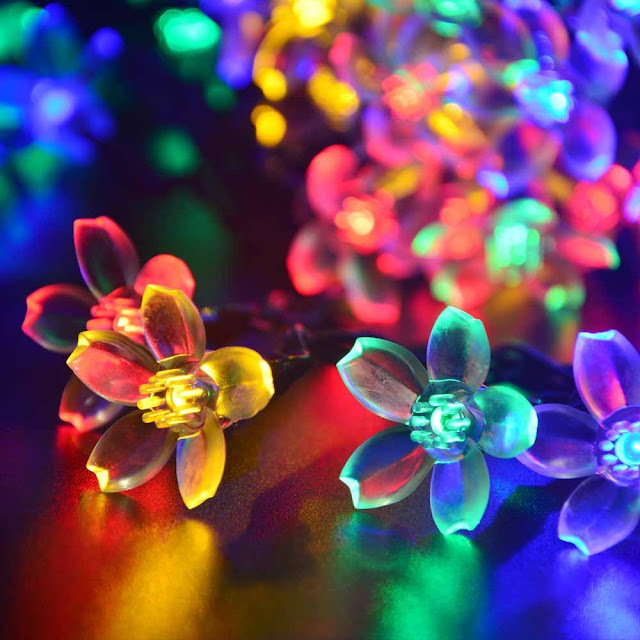 Rainbow Flowers! LIGHTING SENSOR TECHNOLOGY - Solar Panel and rechargeable battery, charge under sunshine and turn on at dusk automatically. 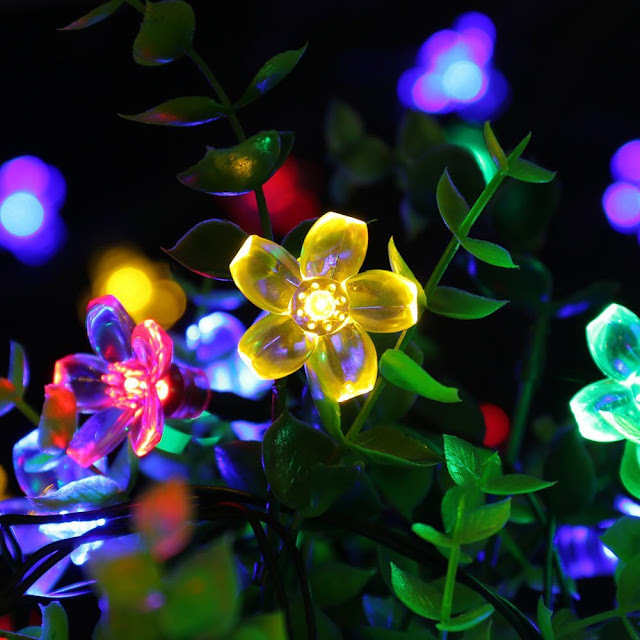 SUPER LONG WORKING TIME - Up to 8 hours of continuous lighting with a single battery charge. 2 SWITCH BUTTONS - POWER ON/OFF, MODE switches (8 different modes). 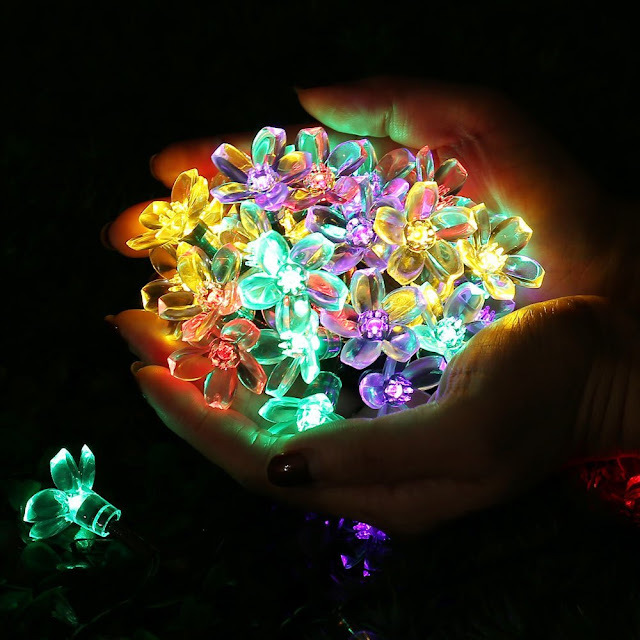 WATERPROOF 50 LEDs FLOWER STRING LIGHTS - Can withstand all kinds of weather, including heavy rain and snow, perfect for Indoor and Outdoor decorations. 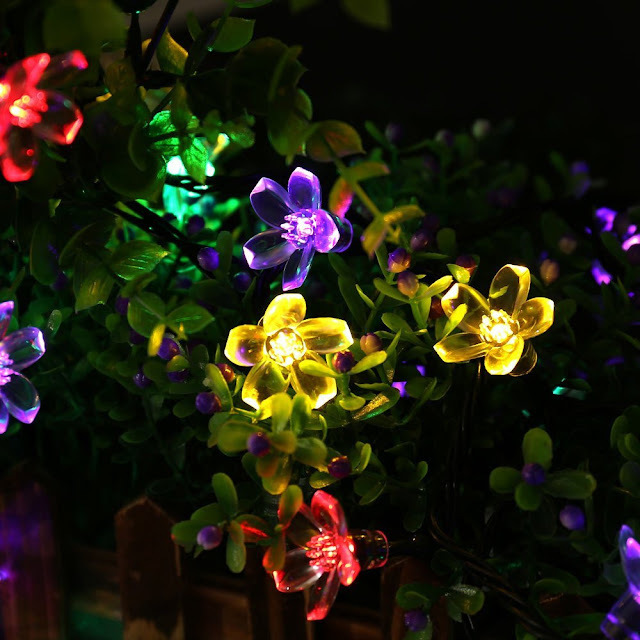 SUITABLE FOR ALL DECORATIONS - These wonderful String Lights illuminate during night, add warm and charming atmosphere to your gardens, patio, lawn, porch, gate, yard, etc Available at Amazon.